The spotlight theme for the 2014 TRB Annual Meeting is Celebrating Our Legacy, Anticipating Our Future. More than 30 sessions and workshops will focus on this theme, which reflects the last year of the Annual Meeting at the Connecticut Avenue hotels, where it has been for nearly 60 years, and the move to the Walter E. Washington Convention Center in 2015. These spotlight theme sessions will be supplemented by 15 to 25 sessions and workshops on each of the following critical transportation issues: performance measurement, automated driving and connected vehicles, extreme weather events, and big data. NOTE: The Human Factors Workshops will be held on Sunday, January 12. The Human Factors Workshops, which consist of nine consecutive sessions, have limits on attendance and a separate fee to cover lunch with a keynote speaker. Tickets are required and may be purchased ($200 Advance; $275 Onsite) during the registration process. The complete Annual Meeting program is available as a Mobile App for iOS (iPhone & iPad) and Android devices. This FREE app is provided with support from PTV Group. 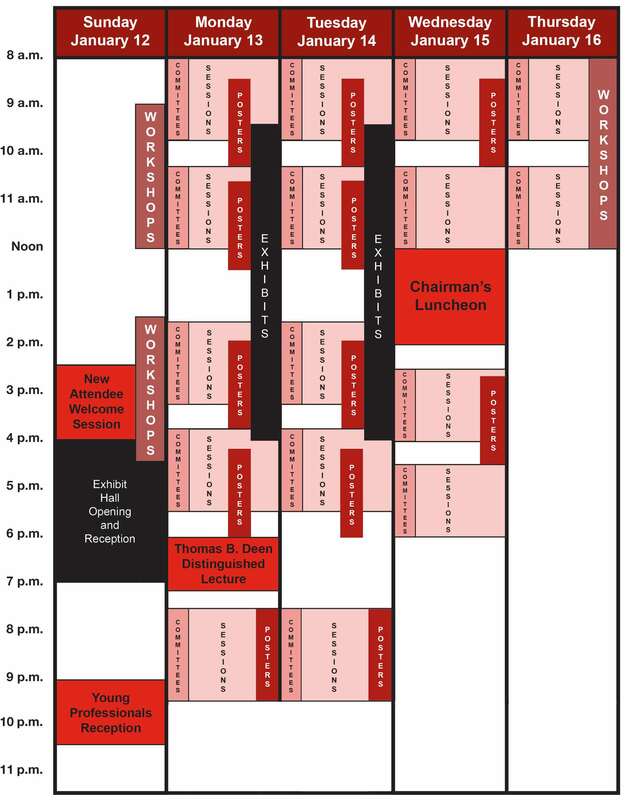 Registered attendees have access to the schedule of events, program participants, floor plans, exhibitors, and more. You may search for events chronologically or by subject area, program participant name, committee, and event type and other features. Debuted for the TRB 92nd Annual Meeting, the Mobile App was an instant success. Registrants who are iPhone, iPad, or Android users are strongly encouraged to download the Mobile App before arriving onsite, since the three meeting hotels have limited or no Internet connectivity in most areas. You can use the TRB “resident” Mobile App without Internet access after downloading the application because all the data is stored on your mobile device. The TRB Annual Meeting Mobile App is available only to full meeting registrants with completed records by using the email address used to register for the Annual Meeting. If you are unable to download the Mobile App and think that you should be registered, contact the registration staff at TRB@JSpargo.com. To download the TRB Annual Meeting Mobile App, search “TRB 2014” in the App Store and Google Play, or click the button to the left using your mobile device. Use the Interactive Program to assist you in deciding which events to attend during the Annual Meeting. Search events by subject area, day, session or paper title, keywords, program participant name, committee, event type, and other features. Registrants gain access to meeting room names and the option of creating and downloading their personal program after entering the email address they used to register for the meeting. Please note that the synchronization or sharing of personal schedules between the Interactive Program and Annual Meeting App (available late-November) is a feature not supported by the two systems. The Interactive Exhibits Search is available to assist you in deciding which exhibitors to visit during the TRB 93rd Annual Meeting. Search for exhibiting organizations by name or subject category, select the ones that you want to visit, then print the exhibit hall floor plan. Sunday, January 12, 2:30 p.m. - 4:00 p.m.
Those attending the TRB Annual Meeting for the first time, or for the first time in several years, are invited to this session. Offered are a brief overview of TRB, tips on navigating the Meeting and on networking during the meeting, the role TRB can play in career development, and how to become involved in TRB activities and committees. Refreshments are provided and an opportunity for attendees to meet each other and TRB leaders from similar areas of interest. Sunday, January 12, 9:00 p.m. - 10:30 p.m.
Co-hosted by the TRB Young Members Council (YMC) and Young Professionals in Transportation (YPT), this networking reception is open to all young professionals and supporters to discuss career development and to meet peers from around the country. Light refreshments will be served. Monday, January 13, 6:00 p.m. - 7:15 p.m.
“Moving the Goods: Performance Measures and the Value Proposition for Transportation Projects” is the title of the lecture that Joseph Schofer, Professor of Civil Engineering and Transportation, and Associate Dean at the Robert R. McCormick School of Engineering and Applied Science at Northwestern University, where he is also Director of the Infrastructure Technology Institute, will deliver as the recipient of the 2014 Thomas B. Deen Distinguished Lectureship award. The Deen Distinguished Lectureship award recognizes the career contributions and achievements of an individual in areas covered by the Transportation Research Board's Technical Activities Division. Honorees present overviews of their technical areas, covering the evolution, status, and prospects for the future. A copy of the lecture will be included in the TRB Annual Meeting Compendium of Papers available through TRB Annual Meeting Online and the flash drive received onsite. Wednesday, January 15, Noon - 2:00 p.m. The Chairman’s Luncheon is the premier event of the Annual Meeting, drawing an audience of about 750 leaders in transportation from the public and private sectors throughout the United States and abroad. The program includes the introduction of new Executive Committee members and officers and presentation of TRB’s most prestigious awards. Anthony Foxx, the seventeenth U.S. Secretary of Transportation, will be the featured speaker. Secretary Foxx previously served as the mayor of Charlotte, North Carolina from 2009 to 2013.